This fall marks the beginning of my sixth year as president of Lafayette. It is hard to believe that I have already presided over five Commencements and graduated two classes that I saw through their entire four years at Lafayette. I feel enormous pride when I see students whom I first met as nervous first-years stride confidently across the stage to claim their diplomas. I also have seen five Lafayette-Lehigh games. I have to admit, it would be pretty hard to top the one played on Nov. 22, 2014, when we beat Lehigh 27-7 in front of 48,000 people at Yankee Stadium. The 150th Rivalry Weekend in 2014 was significant for another reason as well. The night before the game, we launched the public phase of our $400 million Live Connected, Lead Change campaign. As we head toward its close in December, the impact of the campaign is very visible on our campus, from the transformation of the Quad and Anderson Courtyard to the building of Oechsle Center for Global Education. Rockwell Integrated Sciences Center now rises dramatically between Watson and Acopian, and fundraising continues as we prepare for its opening in fall 2019. 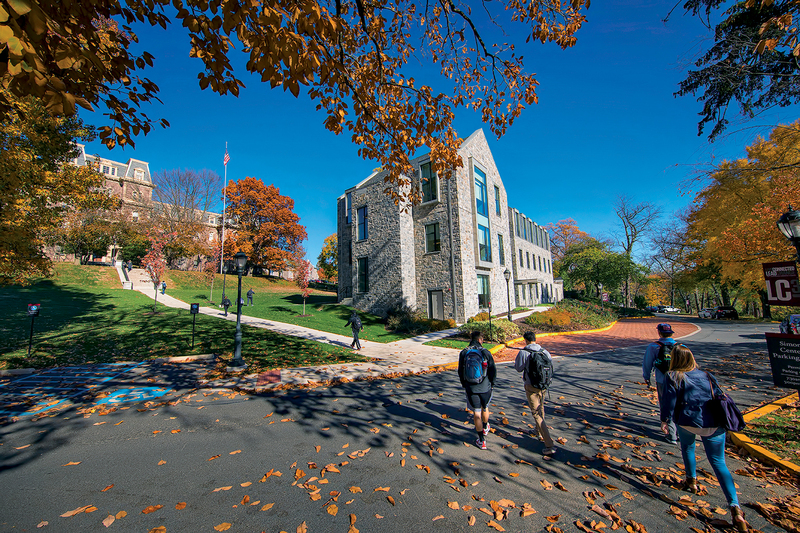 The campaign has enhanced scholarship in fields as diverse as Shakespeare studies, inclusive STEM, and environmental sustainability; created endowed professorships in the humanities, engineering, life sciences, economics, and other disciplines; offered critical support for athletics; and made Lafayette a destination for the arts with the Williams Arts Campus at the bottom of College Hill. Our effort to become more affordable is off to a strong start. The community has stepped up generously to offer support for need-based financial aid, and the President’s Challenge will continue to be a focus of fundraising in the years ahead. Our financial aid budget is climbing and with it, our ability to bring talented students to Lafayette. The Class of 2022 is the largest, most diverse, and most academically qualified class ever admitted. Central to our plan is growing the size of the student body by 400 students, from a starting point of 2,500 up to 2,900 students by 2026. The plan thus offers an unprecedented opportunity to build the faculty, as we are committed to growing the size of the faculty in order to maintain a 10:1 student-faculty ratio. In the last two years we have recruited 30 new tenure-track faculty. We are seeing significant success in our efforts to recruit more women faculty in STEM fields and more members of underrepresented populations to tenure-track positions in all disciplines. While our plan is an ambitious one and many challenges await, the enthusiasm for this strategy among faculty, alumni, students, and staff has put us on a strong trajectory toward success. I am very grateful to every member of this special community for your continued commitment and support.